Now offering teams that just want to play in a few tournament during the year to register with KSYSA. All policies and regulations must be met though. The team will be affiliated with US Youth Soccer and receive laminated player cards and generated official rosters and Got Soccer Player and Coaches accounts set up if not already in our registration system. Teams can register as competitive or recreational. Any KSYSA Independent team would be eligible to play for KSYSA State Tournaments as long as they have 50% of roster with players that reside in Kansas. If they do NOT wish to play in the KSYSA State Tournaments, then the players residents has no part and you may still register with KSYSA. So you can have an max roster with all from another state and still register with KSYSA. Interested in registering your team? Please email Phil Gomez for more information at pgomez@kansasyouthsoccer.org describing your interest and we will begin the process to get your team all set up. NOTE: Out of State Players registering with Kansas Clubs/Teams: The fee set for that player is set up by the player’s State of residence soccer association. Kansas resident out of state permission is required for any Kansas resident wishing to play in another state or on a team registered through a different state association. Missouri residents procedures who are wanting to play in Kansas or for a Kansas registered team need to follow. As determined by the Executive Director per Rule 8.4. Currently is $1 additional per player. All players must be registered with KSYSA or another US Soccer Member Organization. NOTE: Payments due upon receipt and must be paid within 30 days to avoid monthly finance charge. Accounts not paid within terms are subject to a 1% monthly financial charge. 8.2. Indoor soccer league, friendly and tournament games played in accordance with these rules will be sanctioned events as defined by KSYSA Rule 1.0.20. provided the game is officiated by a USSF certified referee who is approved for the style of play involved, either futsal or arena style soccer. 8.5. Approval of Indoor Soccer Leagues, Tournaments, Competitions and Events. 8.5.1. Requests For Approval. Upon written request from an entity wishing to operate a sanctioned indoor soccer league the KSYSA Executive Director may specially approve and sanction the participation of KSYSA players, teams and clubs in one (1) or more competitions or events sponsored by such an entity. 8.5.2. Contents Of Request. Any request made pursuant to KSYSA Rule 8.5.1 must specify the date(s) and time(s) of the scheduled event, describe the event and state the entity’s willingness to abide by the conditions described in KSYSA Rule 8.0. 1) The entity shall ensure that all players and adult volunteers participating in a KSYSA sanctioned competition or event are registered with KSYSA or another USSF Organizational Member, and that all team officials have complied with the KSYSA Risk Management rules and completed a KSYSA disclosure form. 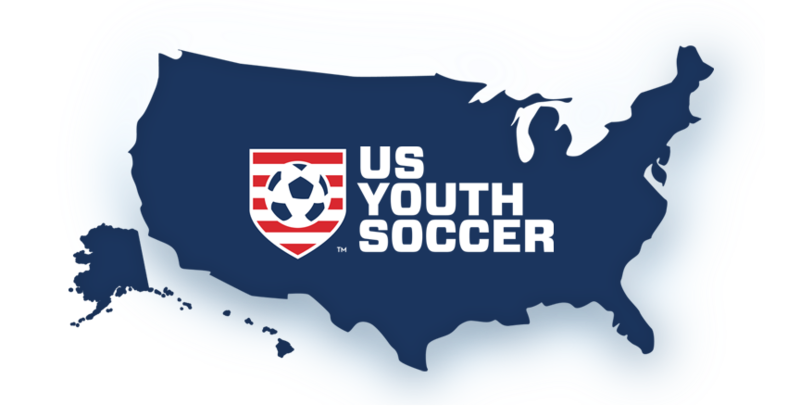 2) The entity shall ensure that all players and adult volunteers participating in a KSYSA sanctioned competition or event, and who are not currently registered with a USSF affiliated member, shall register directly with KSYSA by properly completing a US Youth Soccer Registration form. 3) The entity shall maintain a list of all players and adult volunteers participating in KSYSA sanctioned competitions or events. The list shall include each participant’s name, address, and date of birth and KSYSA club affiliation (where applicable). 4)The entity shall maintain a safe playing environment for all KSYSA participants. 5)The entity shall forward to the KSYSA Executive Director as required such US Youth Soccer registration forms, tournament reports, indoor registration fees and participant lists as are collected or maintained pursuant to these special conditions. Please contact your clubs about this first as KSYSA moved to a voucher system to see if they will cover this cost for the coaches or team managers. If your club decides not to get a voucher code then the coach or team manager will have to cover the cost on their own. This is due and payable by July 31st of each year to register your Club with the KSYSA and may be included with your membership packet. This form is to submit refunds for KSYSA programs and events ONLY. If you are requesting a refund from a specific club, please contact them directly. Email info@kansasyouthsoccer.org if you do not receive an email confirmation within 5 days.